﻿ Toronto. 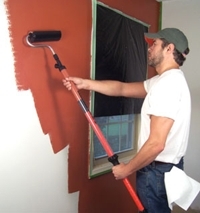 Residential commercial painting. House painter. Interior, exterior services. Contractor. Eco. We are Serving Southern Ontario (Georgetown, Brampton, Caledon, Halton Hills, Terra Cotta, Mississauga, Milton, Orangeville, Oakville, Burlington, Toronto GTA). We have 25 years of professional experience. Contact us if you are looking for the top residential and commercial services. Company uses eco-frendly (low or no VOC), the highest quality materials only.